If you own or are responsible for trees, want to develop, buy or sell any land, you’ll need a tree survey. This is a professionally compiled document with precise information about the trees on that land. All tree owners have a legal responsibility ‘Duty of Care’ to ensure that their trees do not injury or damage and third party or property – we can help. 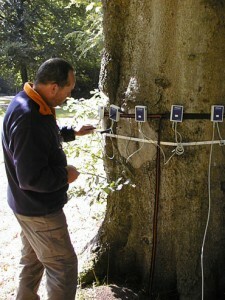 Base tree surveys, ideal as a starting point to identify what trees you have, their condition and recommendations. Tree hazard surveys, to assess the condition of your trees especially if they overhang a road or another’s property. BS5837 trees in relation to construction surveys, required for your planning application. Decay investigation reports, to assess the extent of decay and advise what steps are necessary. Our expertise and experience will help you understand what you have growing, how it might impact on your business or others, and how it affects you any plans you may have.